From the length and breadth of Scotland, from the mainland to the islands, hundreds of our best young athletes descended on Glasgow for the FPSG Age Group Champs. The Emirates Arena will be the centre of attention in European sport just four weeks from now – but over the weekend it was the perfect platform for our U20s, U15s and U13s. It’s an event which always generates a great atmosphere with many in the two younger age groups taking their first steps in competitive sport. 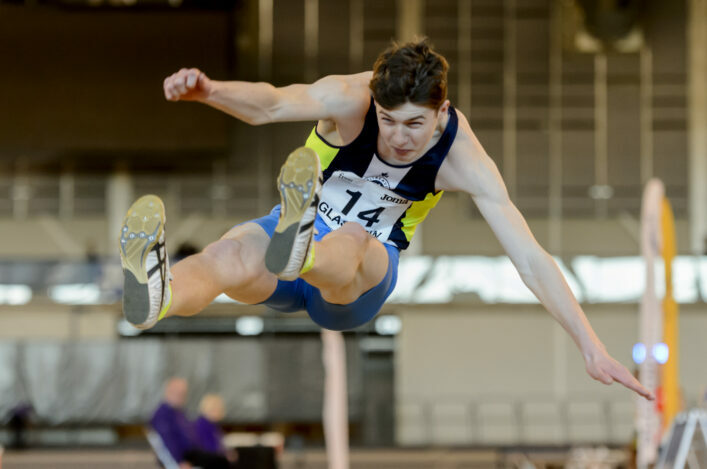 For the U20s, arguably, it is that little bit more serious for athletes and coaches as they look to make the leap into the Senior ranks of athletics in Scotland . . .and maybe even beyond. Looking through social media coverage over the weekend the commitment to competition is clear. Stornoway RAC were among the visitors, as well as North Uist, and we welcomed visitors from Ireland, too. These events are about all clubs – not just the bigger city outfits who sometimes dominate the medals – but about the likes of Banchory Stonehaven, Shetland, Moorfoot Runners, Larkhall YMCA, Airdrie Harriers, Elgin, TLJT and Annan and District AC (to name only a few). Great to see some of these clubs celebrating individual medallists (and we do believe club websites/social media is the right platform for U15 and U13 success). Mark Munro, chief executive of scottishathletics, believes it is vital for clubs, coaches and parents to encourage young athletes to compete. ‘Through our communications channels over the past couple of years we have pushed the message out to our members: ‘Competition – It’s What You Train For,’’ said Mark. ‘And that is so important for our sport. 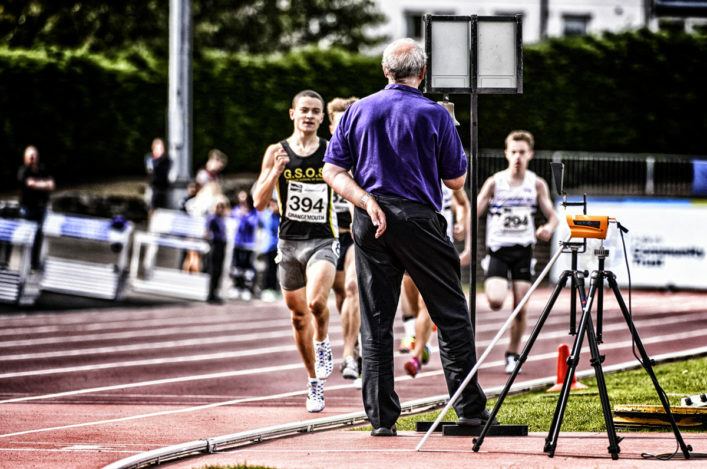 ‘It does not matter if you are a young athlete or a social runner trying to improve your 10K PB, it is about competing at the right level and being competitive. Athletics is about competition and sport is about competition and we want to see people doing that in the right environment. There were two main highlights in performance terms on Saturday – although one of those was an invitation race! Neil Gourley is preparing for the British Champs and Euro Trials and raced a specially arranged 800m mid-afternoon. Running solo for the last 300m or so (after being paced by Lewis Brown) Neil clocked 1.48.65 to suggest he is in good shape for Birmingham. In the U20 Men’s long jump, there was another terrific battle between Stephen Mackenzie of Pitreavie AAC and Alessandro Schenini. And, one week on from losing the Seniors title by a single centimetre, Mackenzie reversed that to win with a CBP leap of 7.35m – 1cm ahead of Schenini! Alessandro’s 7.34m was also better than the previous CBP. Andrew McFarlane, Ellie O’Hara, Max Leslie, Chris McLew and Sarah Calvert, who represented Scotland in the Great Edinburgh XC in the International Relay, were among others to win U20 gold. There were sprint hurdles wins for Jane Davidson and Scott Connal. 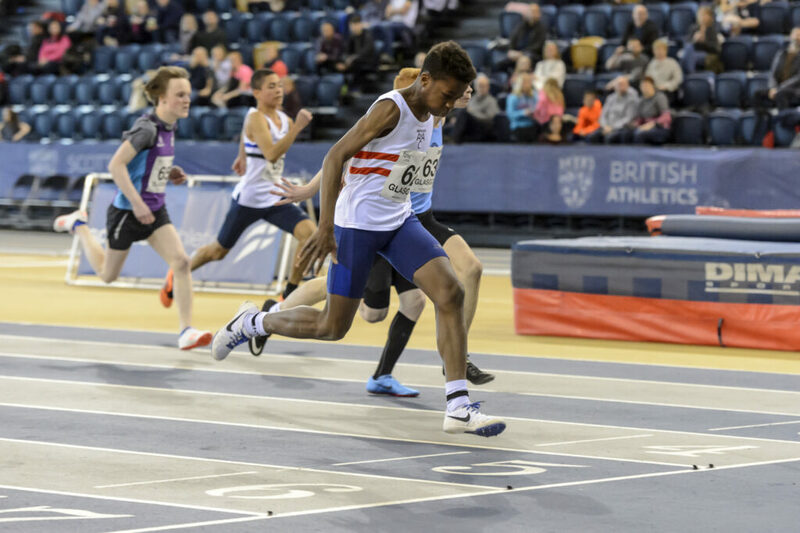 On Sunday there were U20 golds for Scots via the performances of Billy Doyle and Alexander Mackay as well as triple jump duo, Miraji Ahmed and Ellie O’Hara. For Edinburgh AC’s O’Hara, that was another jumps gold double as she followed on from two wins at U17s the previous week. Carmen Neat won the women’s high jump with 1.72m and Callum Simpson the men’s with 1.93m. Race of the day status arguably went to the U20 men’s 800m final. Edinburgh AC athlete, Sam Brown, hadn’t been at his best in the heats but he stormed clear with a lap to go and held on in a dip finish as Shetland’s Seamus Mackay closed on the line. Olivia Vareille defended her 800m title, again in a tight finish. *In the U15 programme there were three age group national record performances. Ayr Seaforth athlete, Libby White, reached 11.07m in the triple jump to go beyond the mark held previously both as age group best and championship best (Ellie O’Hara’s 10.98m). And, in the 300m Girls final. Pitreavie AAC athlete, Rebecca Grieve, came home in 40.76 to land a Scottish U15 Record for that distance – with Rebecca improving the mark by more than 1.5 seconds. 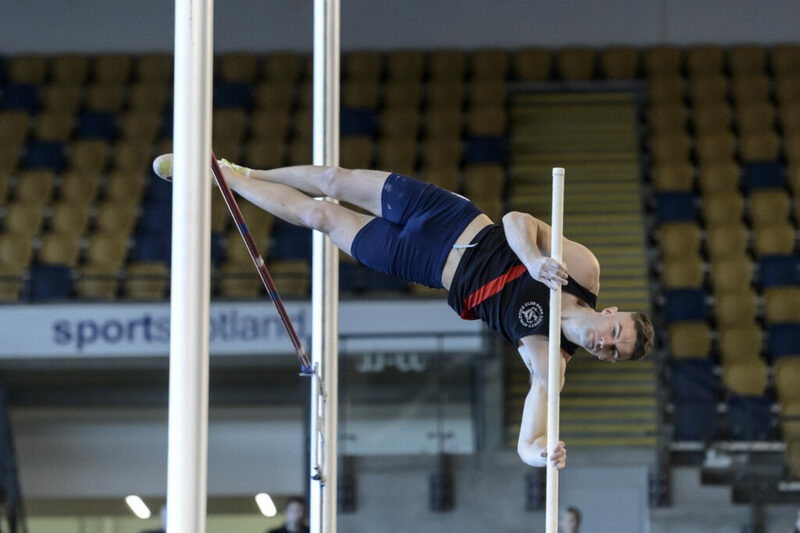 Pitreavie’s Fergus Macgilp, also over 300m, came up with 38.36 for a new Scottish U15 Record, too, although he had to settle for silver to an Isle of Man athlete. There was also a superb performance by Oscar Logan to take gold and a CBP. The Law and District AC athlete clocked 2.02.69 in a gutsy solo run – as he took almost three seconds off his PB and the previous CBP (held by Chris Boyle). VP-Glasgow’s Evie Greig won a fine gold in the high jump as she took her PB from 1.52 to 1.63 in the course of eight clearances in the competition and then won the 200m gold, as well. 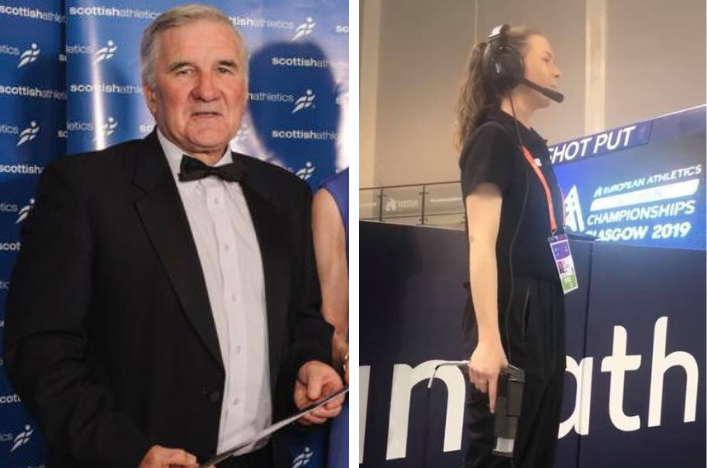 *Huge thank you, as ever, to our dedicated team of scottishathletics Officials. We could not do it without you . . .